He leaned into her and his expression became very sincere. "And as far as where you belong..." He put a hand over his heart. "Right here. Always. In life and death and everything in-between." He paused. "Never question it." Aaaaaah...and here we are. The final book!! This book pulled so much from me. The prior two installments had their fair share of angst, but nothing compared to a lifetime of missed chances, lost loves, misunderstandings, and waiting. Waiting and waiting and waiting for the one you irrevocably love and can't/won't replace. It's heartbreaking. It's tormenting. It's angsty. It's messy. It's....beautiful. 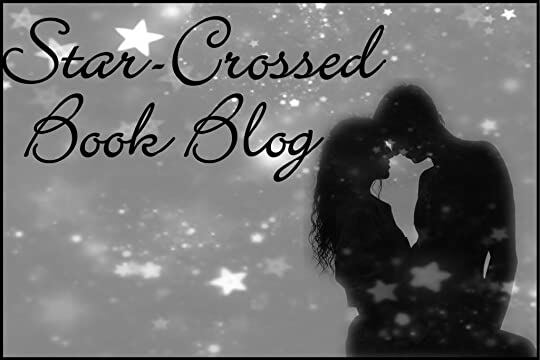 She glanced at him under the yellow glow of the streetlamps above, running her eyes along his profile as he stared forward with a clenched jaw. He was fierce. He was patient. He was everything she loved. This is the part where I'll either lose you or hook you-this book was predominately set in the past-The first 30% was set in the present, the middle was set in the past, and then at about 62% or something, it came back to present day. I really really love the flashbacks for these books, I really do. But it was a shock to me that so much was set in the past because I wasn't used to it. In the last book, where the flashbacks started, it was every other chapter or every two chapters. But in this final one, it was one solid chunk in the middle so as to portray the heartbreak and turmoil the boys went through, and I think Fine succeeded in this feat. There were no present day interruptions and no breaks from the devastation these three went through...it touched me on a visceral level. "How can we bring her back?" His palms were sweaty and his heart on fire but, God help him, he would do anything, kill anyone, and break any rule to bring her back. Nathaniel said, "Her return is dependent on the magic in her veins. It could take decades-"
"I can wait decades," Tristan said. "Or it could take a hundred years," Nathaniel said. "I can wait a thousand years." The wizard cocked his head at Tristan. "I'm confused. Did you know Scarlet? Because I was under the impression you were gone when she first came to the castle. You seem to care deeply for Gabriel's wife-"
Fine was very clever with this one-she knew there wasn't a whole book worth of a story so she used the flashbacks to show everyone different POVs about what happened in their past lives. Not everyone will love, but the angst, determination, and heart-break spoke to me and touched me more than I ever thought it could....my heart was in my throat for the entirety of the novel and I even lost sleep because it was so deeply rooted within me. I don't much care for past lives, but I was clouded and overwhelmed with emotion-I couldn't ask for more than that. My heart cracked alongside Scarlet and Tristan's, I felt their annoyance and willingness for the inevitable to come and for a change to occur. I was there beside them every step of the way, and I loved it. "Everything about you is my concern. You cannot just keep yourself in pain," she said, filling up with all the fear and love she felt for him as she stepped forward again. "You are a foolish man." He stood still. "And you are a reckless woman." She smiled. "We are quite the messy pair." "That we are." He searched her face then softened his voice. "You know you cannot stay here." "Then tell me to leave." She stepped closer. "Curse you woman," he said. "You are a terrible pain." Even with all of Scarlet's memories back, I think this was the strongest one with romance, yet-we still get forbidden, but for once they were on the same page and couldn't do anything about it...this made for the sweetest and best sexual tension thus far, and I could hardly contain my sighs and stop biting my lips out of giddiness. If it was possible to burn someone into your soul, Tristan was ablaze in hers, and had been for centuries. Seared into her flesh and permanently marked on her heart. I am going to miss Scarlet and Tristan-that much is a fact. Tristan went through many lifetimes 100% loyal to Scarlet. He never looked at another girl, he never doubted his love for her, he only did what he had to do to keep her alive (even if it hurt him far more than dying ever could), and he lived with torment that no man should ever feel each and every time she would pass away because of his close proximity or the lack of finding a cure that would keep Scarlet out of her recurring cycle of painful deaths. I loved all these characters so much, but I'll never forget Tristan-his clenched jaw, his need to do anything and everything to take care of Scarlet, and his selfless persona that almost cost him his life time after time. He was perfection to a stubborn nth degree, and I won't be forgetting him soon. They stared at each other for a moment. Because of her connection to him, Scarlet could feel the hurt and fear pulsing through his veins at the memory of her last life. But she could also feel the love heating his core as his eyes traced over her in the darkness. And it was the love-that undying fire that blazed in him and burned through her-that had her lost for words as she looked at him. I have to mention that I actually liked Gabriel's voice in this one. It was funny, relatable, and he and Tristan's banter ricocheted off of one another making for laughter every five minutes. In the first twenty percent I giggled more than I did in the first two combined-and I had giggled a lot for those as well. To hell with happily ever after. So, with a heavy heart I say goodbye to them all. I do think every once in a while there was some repetitiveness, but overall the story was so good and pulled me in so quickly that it didn't matter. What matters is what I felt-and what I felt was happy. So, read them, don't read them, but know this-this was truly a star-crossed love, and I am so grateful to have been asked to read them. Otherwise, these would have sat on my shelf untouched forever. I'd have never read them. So, thanks, guys for a wonderful buddy read-it was so fun!!! 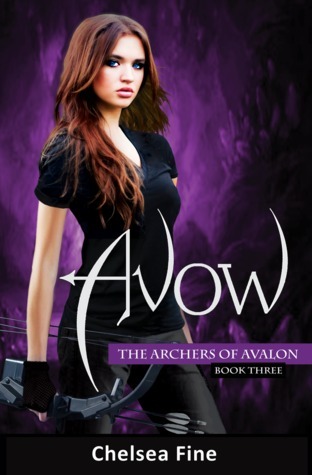 Sign into Goodreads to see if any of your friends have read Avow. SueBee★bring me an alpha!★ wrote: "Wonderful review Chelsea! = ))"
✭Alienortothemoon✭ wrote: "Beautiful review Chelsea ♥♥ I totally agree with you - on everything, even if I found the flashbacks a bit too long - I'm so in love with these characters, and I'm happy to see that we share the sa..."
Chelsea ❤Peril Please❤ wrote: "✭Alienortothemoon✭ wrote: "Beautiful review Chelsea ♥♥ I totally agree with you - on everything, even if I found the flashbacks a bit too long - I'm so in love with these characters, and I'm happ..."
✭Alienortothemoon✭ wrote: "Chelsea ❤Peril Please❤ wrote: "✭Alienortothemoon✭ wrote: "Beautiful review Chelsea ♥♥ I totally agree with you - on everything, even if I found the flashbacks a bit too long - I'm so in love with..."
Harriet wrote: "Another fantastic review, favourite pea! Thrilled you loved this series and even enough to get on paperback woooh!!! Xo"
Jen wrote: "Outstanding review, Chels! What a fun book to br! And you stated it perfectly, Tristan had been loyal to Scarlet for hundreds of years. Their love was tragic and beautiful. Sigh. :D"
Aw! Thank you so much! That's sweet! AWWW I just saw the update! Adorable <3<3<3 and congrats !